http://newiprogressive.com/images/stories/S5/cannabis-cbd-s5.jpg Advocacy group starts letter campaign to new Governor to legalize cannabis statewide and urge inclusion of cannabis legalization into budget proposal. MILWAUKEE - Since 12:30pm on Monday, 825 people have used the Southeastern Wisconsin NORML (National Organization for the Reform of Marijuana Laws) website to send a form letter to Governor Evers highlighting the urgent need to legalize cannabis in order to address racial disparities in our criminal justice system and urging him to include cannabis legalization in his budget proposal. Fiscal analysis has estimated that cannabis legalization would bring in over $130 million each year in tax revenue for the State of Wisconsin. Prior to the election, Evers said he was open minded about cannabis legalization and wanted to see the results of a statewide referendum. 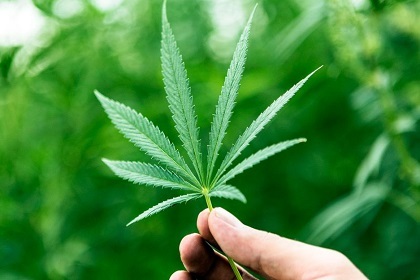 Although not statewide, voters in 16 counties - representing approximately half of Wisconsin's population - had cannabis referendums on the ballot in November, with 6 of those counties asking about recreation cannabis and the rest asking about medical cannabis. All of the referendums passed by wide double-digit margins, confirming the results of an August Marquette University Poll which showed 61% of Wisconsinites supporting full cannabis legalization for adults. The November election also saw Michigan legalize cannabis for adult recreational use by a 12 point margin, while Illinois and Minnesota both elected new Democratic governors who have repeatedly committed to legalizing cannabis for adult recreational use in their states. Since Evers's narrow election victory over Scott Walker, which many attribute to increased voter turnout thanks to the cannabis referendums across the state, the Governor has not made any public comments about cannabis. 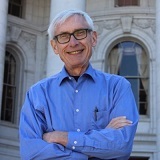 This makes Evers the only Democratic governor in the region to not be actively pushing for cannabis legalization despite the clearly overwhelming support it has in Wisconsin. SE WI NORML's Executive Director, Eric Marsch, says "The response from several hundred Wisconsinites over the past 24 hours shows that cannabis law reform is still a major issue in Wisconsin which deserves quick and decisive action from the Governor, not the silence he is currently giving us. Governor Evers would do well to remember that cannabis voters put him over the top in November and he can expect thousands of more voters to keep reminding him of that fact in the coming weeks. We ask that he include cannabis law reform, ideally in the form of adult recreational legalization, in his upcoming budget proposal so we can finally put an end to the injustices of cannabis prohibition."